Reeder Distributors is a factory authorized and trained automotive lift inspection company. Our inspectors are qualified and experienced, which allows us to expertly install, repair, service, and maintain any and all pieces of equipment in your vehicle service shop. Not only are lift inspections required, but they are also essential to the safety of your shop employees. As an employer, it is your duty to ensure that all employees that are utilizing automotive lifts are safe. The lack of doing so could lead to negligence or personal injury cases, which is the last thing that you want on your hands. For that reason, we always suggest scheduling quarterly lift maintenance and inspections. 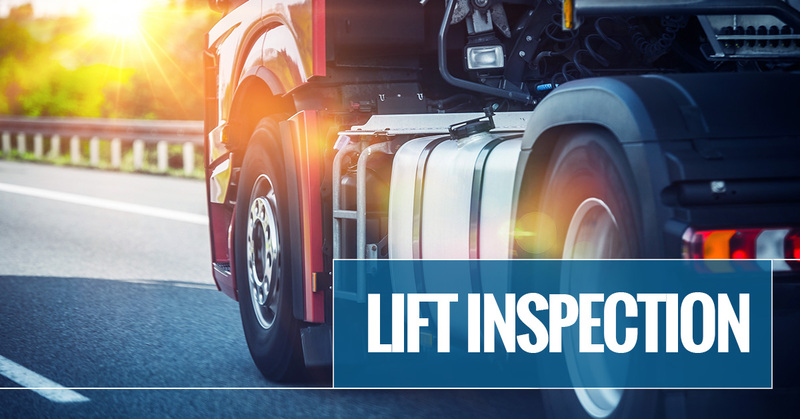 Prioritizing lift inspections in your auto body shop is a must. Not only is it required, but there are countless other benefits that you, the owner, will get to enjoy. Keep reading to see a few of the reasons that you should always stay on top of your quarterly lift inspections. The lifts in your auto body shop aren’t cheap, and we know that. They are something that you, as a business owner, had to invest in. That being said, the care and routine maintenance that these pieces of equipment require is necessary for them to remain in great condition. As a professional auto body shop, you can’t afford to have an automotive lift that isn’t working. Preventative care is one of the many ways that you’ll benefit from quarterly lift inspections. These tools are used on a daily basis, which means that they’re getting quite a bit of wear and tear. Make sure that you’re catching any and all repairs that need to happen early on. Having to pay for quarterly repairs doesn’t sound like it would save you tons of money, but the reality is that it is primarily preventative care that you’re paying for and getting to enjoy. By having a professional looking into your automotive lifts, you can feel confident that any repairs that need to be made are caught early on. This means that you’ll be able to minimize the chances of major fixes for any of your automotive lifts. Again, this may not feel like a way to save money, but when repairs sit for too long, they wind up costing you more to get fixed if not requiring you to completely replace the automotive lift. Avoid the chances of having to do this by having a professional come out and inspect your lift. Automotive lifts make your employees jobs all the easier, but the last thing that you want is for them to be in harm’s way while at work. The automotive lifts in your auto body shop are able to lift thousands of pounds, and that’s exactly what they’re doing when they are picking up a car for your team to work on. When they aren’t working as intended, there is a good chance that your employees could get injured. Not only could there be a malfunction in the lifting and lowering of the vehicles, but there are a handful of other incidents that could occur. The only way that you can actively try to avoid the chance of an injury is by actively scheduling maintenance. While there’s no real way to entirely eliminate the chances of an injury happening in the auto shop, prioritizing routine maintenance and care on your equipment is certainly one of the best ways to minimize them. Reeder Distributors is able to assist you with required annual lift inspections, quarterly lift maintenance, onsite equipment calibration, and much more. We are also authorized to do factory warranty lift repairs for a variety of makes and models of automotive lifts. At the end of the day, our team is dedicated to ensuring that your auto body shop is in a position where you can safely run all of the automotive lifts in your shop. Give us a call today to make sure your equipment is functioning properly and to get your automotive lifts on a quarterly schedule for inspections and maintenance. Our years of experience and qualified team make us the best choice when it comes to automotive lift inspections and maintenance.